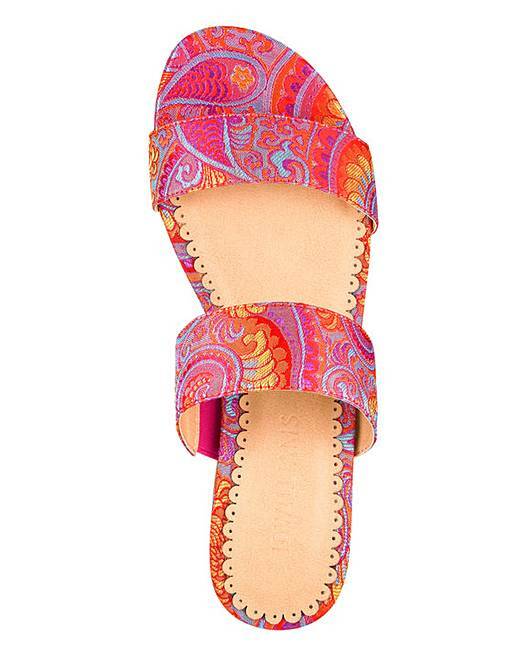 Pink/Orange Flexi Sole Sandals E Fit is rated 4.8 out of 5 by 6. 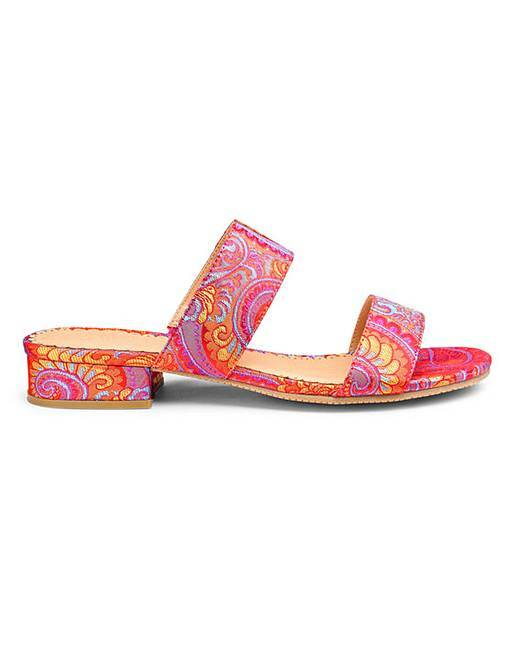 These flexi sole double-strap mule sandals pose the perfect addition to your summer shoe collection. The gorgeous print uppers feature discreet elastic panel to the top straps for maximum comfort and fit. 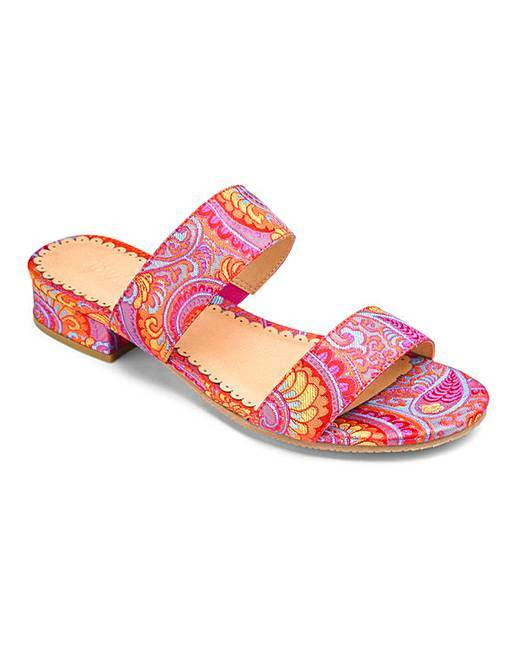 Perfect for all occasions, these sandals slip on and off easily, making them super practical and easy to wear. Great style never felt so good. Upper: Textile. Linings and sock: Other materials. Sole: Other materials. Rated 5 out of 5 by Lisa14 from Sandals Purchased recently. Normally size 6 but as wide fitting purchased size 5 fit perfectly. Soo comfy cushioned in-soles. Rated 5 out of 5 by Dee1 from Very pleased I bought these for holidays so havnt work the m yet but I am pleased with them. They seem comfy and are a bit unusual.